Here comes Spectra! 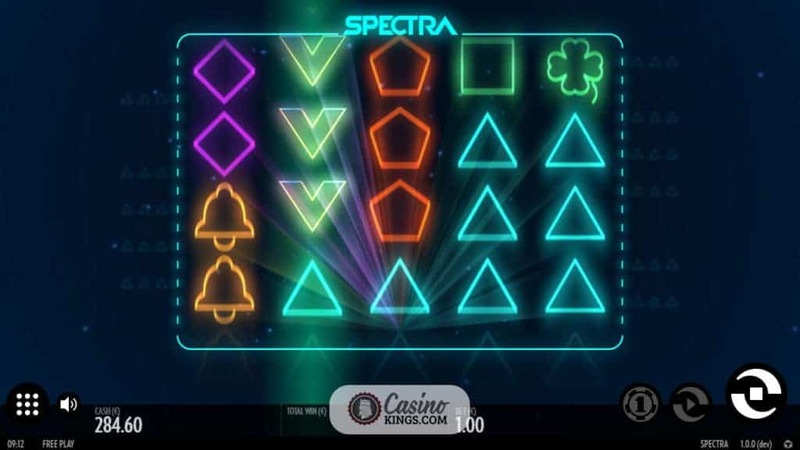 It may sound like an enemy of James Bond, but the Spectra Slot is a top-level, ode-to-neon online game from kooky developing super-studio, Thunderkick. 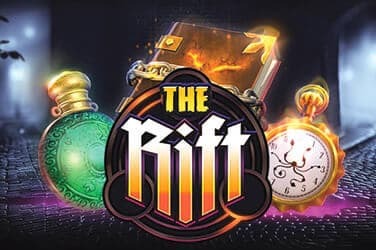 With more than a hint of 80s style arcade games, this title has a retro-futuristic feel that Thunderkick has used to excellent effect before in slots such as Arcader and Flux. With five reels, four rows and 30 fixed pay-lines, Spectra has what it takes to be our latest sci-fi love. 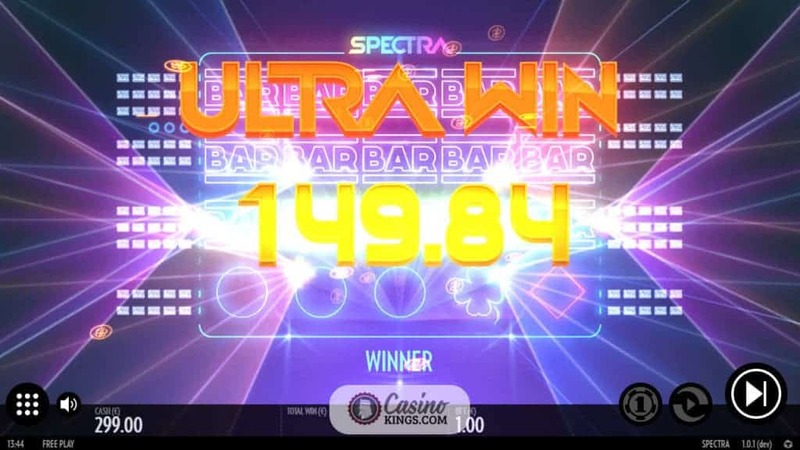 Thunderkick can rightly claim to be the masters of light and sound, and Spectra is a valuable addition to the studio’s exploration and titillation of our gaming senses. The electro funk soundtrack is reminiscent of classic sci-fi flicks like Tron, while the added flourishes like the laser beam blasts that accompany and highlight pay-line wins evoke the Space Invaders-era arcade games that will make many gamers go moist at the mere thought. Thunderkick clearly feels as though our future holds a geometric bent, with our low-paying symbols made up of Circles, Triangles, Squares, Diamonds and Pentagons. All neon, all shimmering. Step up to our high symbols and the neon remains, while our symbols move to a Shamrock, Bell, 7 and Bar. Is the Bar symbol finished in a Star Wars style? Legally we (and Thunderkick’s legal team) would have to say no, but take a look and see what you think for yourselves. 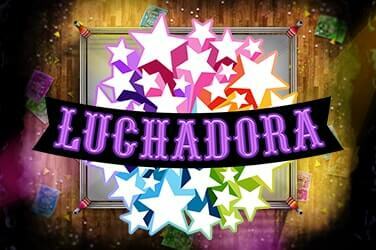 In true Thunderkick style, all symbols are stacked, along with the multiple bonus-bestowing Wild W symbol. As stylish as Spectra is, it is also Wild. Super Wild. 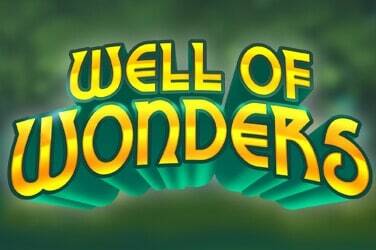 The Wild W symbols that are obviously the game’s Wild symbols are the key to our Spectra slots success. 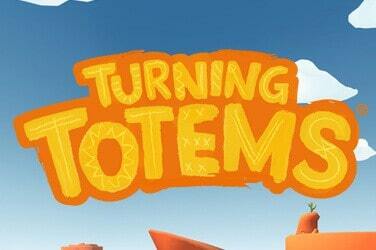 The Wild symbol substitutes for all other game symbols and always appears stacked in a four row pile. Each Wild we land will trigger a re-spin, with the Wilds remaining on screen. 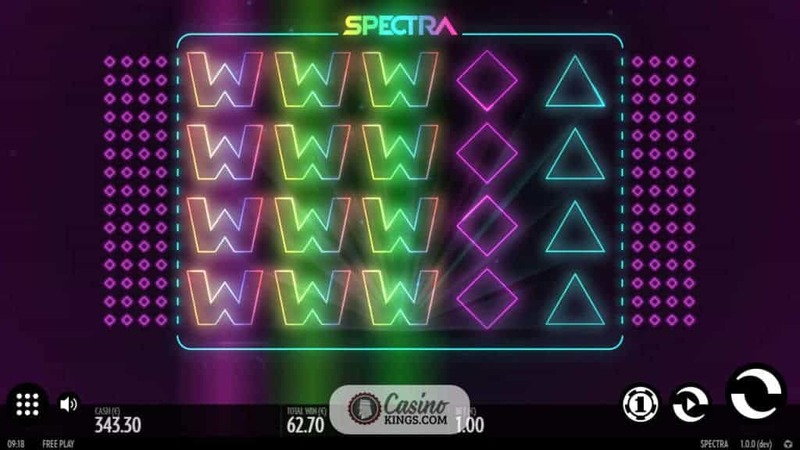 Should the entire stack not cover a reel, the partial stack will nudge further up or down onto the screen using Spectra’s Wild Respin feature. 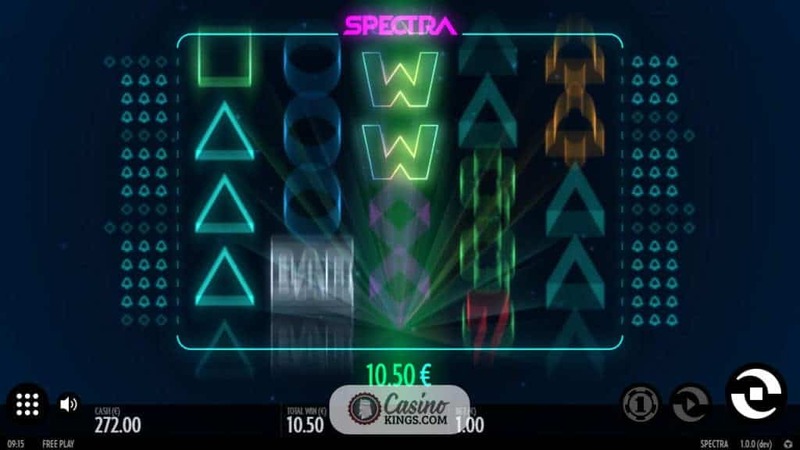 As the Stacked Wilds are not limited to any reels or any number, Spectra has the potential to fill our screens with Wilds and make our retro dreams come true along with our futuristic ones. Thunderkick loves base-game bonuses, and Spectra takes on this mantle in neat, neon and distinguished style. The gameplay stylings are effortless, while the bonus Wilds lead us to a future in which we would all gladly be happy to find ourselves.